How big is the city of Johannesburg and how many people call it home? The Greater Johannesburg Metropolitan Area covers more than 1,645 km2 and has around 10,267,700 residents. What are the language and currency? The currency is the Rand (ZAR). English is major language but you'll also hear Zulu, Afrikaans and Sotho. Anything else you need to tell me? Yes – don’t call it Johannesburg; use ‘Jo'burg’ instead. Everybody here calls the city Jo'burg. What is Johannesburg’s number one attraction? That’s a toss-up between two, one of which isn’t even inside the city. 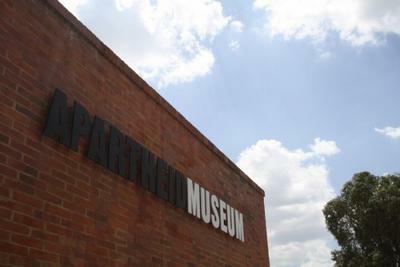 The first of the two is the fascinating Apartheid Museum, which documents Apartheid in South Africa from the beginning to its downfall. It is a fascinating museum and one that deserves at least three hours to properly appreciate it. The second is Kruger National Park, unquestionably South Africa’s best-known game reserve. 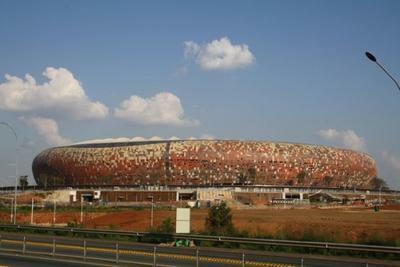 Jo'burg is the gateway to the park and most people visiting it start and end their trip with the city. What are the other attractions? 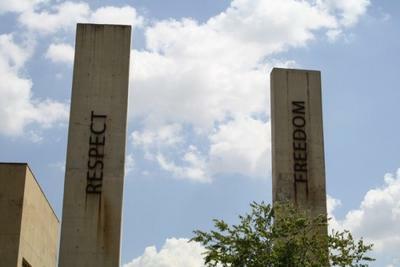 Soweto shouldn’t be missed. Standing for 'South Western Townships', it is South Africa’s best-known township and today you can explore it on bike tours, booked through Lebo’s Soweto Backpackers, where you meet the locals, see where Nelson Mandela lived and more. If theme parks are your thing then you could spend a few hours kicking and screaming on the different rides and roller coasters in Gold Reef City, which is next door to the Apartheid Museum. 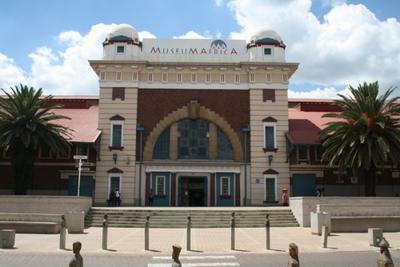 But if you’re more of a culture vulture, try to visit either Museum Africa in Newtown or Johannesburg Art Gallery in downtown Jo'burg. 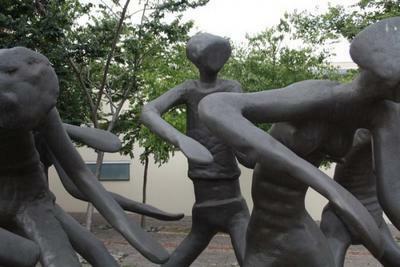 Another thing you should do in Jo'burg is explore the neighbourhoods. Greenside has lots of bars and restaurants along Gleneagles Road, while Melville (particularly along 7th Street) is great for nightlife. 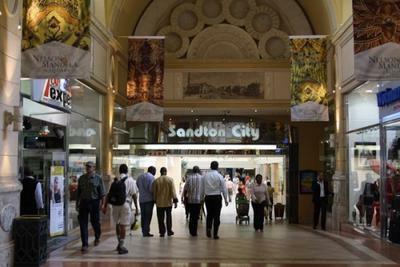 Sandton is an affluent neighbourhood where you’ll find a popular shopping mall and Nelson Mandela Square, while Newtown is another popular area that’s right beside downtown Jo'burg and is also very safe. Speaking of safe, that was my next question as I’ve heard awful things about Johannesburg in terms of safety – is it safe? Just like any city in the world, Jo'burg has its dangerous parts. But steer clear of these and you’ll be ok. For instance, walking around Greenside or Melville at night on your own is ok as they’re both extremely well-lit and the pavements are full with people hopping from bar to bar. You may want to take a taxi there in the first place, though. Downtown Jo'burg in particular has been seen as a no-go area in the past, but walk around it with your wits about you, with no valuables and stay to the main streets and you should be ok.
They’re found in three different areas – Melville and Greenside, which I mentioned before, and along 4th Avenue in Parkhurst. In a word, no. Not unless you haven’t hit puberty yet. Any particular bars /clubs worth singling out? Six on 7th St in Melville is a happening bar with friendly staff, while across the road from it Trance Sky is another extremely popular bar on this buzzing street. If you’re in the mood for a chat and nothing else, check out The Jolly Roger in Parkhurst; it's extremely unassuming and a ‘pub’ in every sense of the word. If you’re in the mood for dancing, The Woods in Newtown is where to go. Oh...and Gin in Greenside is another one of our favourite bars. Yes – while Jo'burg isn’t as dangerous as you might have heard it is, you still need to be careful, particularly at night. Make sure to get taxis to and from the bars and nightclubs you’re visiting and ask your hostel to book them for you. Also, keep your drinks close to you at all times. Is it expensive to eat out in Johannesburg? Not particularly. Many places are extremely affordable, while if you want to treat yourself there are restaurants suiting the more affluent traveller also. There are heaps of restaurants dotted along 7th Street in Melville, while Greenside is another good area for eating out. Yes, but not as much as in other cities. You’ll find Indian, Thai and other restaurants, but you’ll have to do a bit of homework to find them. To make sure you don’t go hungry, aim to be taking a seat in a restaurant no later than 10pm. Any places to eat you can recommend? Mamma’s Shebeen in Greenside is the closest you’ll get to eating out in a township, and the food is great and affordable. Andiccio24, also in Greenside, is a decent pizza joint open 24 hours a day. If you go to Sandton to visit the extremely large statue of Nelson Mandela, you’ll be spoiled for choice at the food court in Sandton City Shopping Mall. What is the best way to get around Johannesburg? There are small minibuses operating in the city but these are mainly for the locals. Many would go so far to say that they are unsafe. Your best bet for transport around this vast city is either a) rented car or b) taxis. Renting a car is the most cost-effective so we suggest you do that.